The All Progressives Congress (APC) believes Nigerians now know better and will reject the Peoples Democratic Party (PDP) in the general elections in 2019. A member of the APC Board of Trustees (BoT), Mr Ismael Ahmed, said this during his appearance on Channels Television’s Sunrise Daily on Wednesday in Abuja. “Ultimately, I think Nigerians are wiser … what we are interested in is the survival of this platform; Nigerians have rejected PDP over and over again and they will reject it in 2019, God’s willing,” he said. 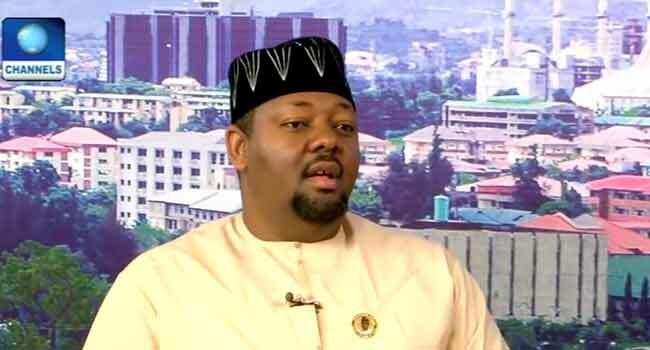 Mr Ahmed’s statement comes one day after dozens of the members of the National Assembly defected from the APC, a move the PDP described as the right step to rescue Nigeria’s democracy. He further condemned the insinuation that the lawmakers left because the APC leadership was unable to manage its internal conflicts and that some governors were planning to join the PDP. Ahmed admitted that while the challenges in the party are just like that of every other big political party that has come into governance, the new leadership of the party would resolve them soon. “Man management in its entirety is something that needs a certain level of craftsmanship which I think the new national chairman (Adams Oshiomhole) is bringing to the fore and he has been going about,” he said. Fourteen senators and 37 members of the House of Representatives announced their defection from the ruling APC on Tuesday. The senators are Dino Melaye (Kogi), Rabiu Kwankwaso (Kano), Suleiman Hunkuyi (Kaduna), Abdulazeez Nyako (Adamawa), Barnabas Gemade (Benue), and Ibrahim Dambaba (Sokoto), among others. Some of the members of the lower House who also defected are Danburam Nuhu, Mark Gbilah, Razak Atunwa, Ahmed Bichi, Abdulsamad Dasuk, Zakari Mohammed, and Sani Rano.